General Implement Distributors has been actively wholesaling farm machinery since 1938. The firm's Silver Service® includes 15 delivery trucks, a multi-million dollar inventory at 6 locations, and an experienced sales staff. The firm employs 16 territory managers who cover all of the Western States and as far east as Minnesota in the North and Mississippi in the South. We currently represent over 70 foreign and domestic wholegoods lines and 140+ captive and will fit parts lines in our 22 state territory composed of 1175+ dealers. 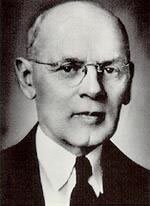 Our six strategically located warehouses support 16 territory reps.
1929 - Arnold Machinery founded by L. E. "Doc" Arnold. 1938 - Ray Arnold, "Doc's" son joins the business and they enter the Agricultural Business. 1952 - General Implement is formed. 2001 - General Implement buys S&W Farm Equipment in Portland, Oregon. 2006 - General Implement buys R.M. Wade Co. in Portland, Oregon. 2011 - General Implement purchases West Country Products in Jamestown, North Dakota. 2015 - General Implement purchases Alliance Distributing Inc. in Hewitt, texas.